Coke is investing millions in social and content marketing, as well as partnering with YouTube influencers Jamie Curry, Adrian Van Oyen and ChampChong, to drive engagement with teen audiences. It is also adopting image recognition technology in JCDecaux outdoor billboards, so the cans turn the digital screens into interactive games that link to a reward-based scheme. Group markeitng manager for sparkling, Dianne Everett said Coke believes that its media should also have “utility and currency that teens wanted to spread amongst themselves”. By taking a non-TV approach to the campaign, Everett reckons Colour Your Summer will reach 98% of the teen audience; vastly more than it would using TV and traditional media. “The thing that might surprise people most is that they expect to see a big Coke summer ad. Well, there’s not going be a big iconic ad like that over summer but there’s something so much better because there are so many other layers of this campaign. 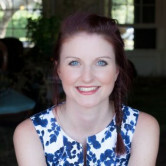 All the content is created in snackable pieces,” she told AdNews. Coke is investing a similar level of marketing spend in Colour Your Summer as it invested in Share a Coke, which was between $10 million and $12 million dollars. It reflects a significant change in how Coke is investing its marketing budget, but Everett is not against TV, adding that it has a big role in other kinds of campaigns, targeting different audiences. “Lots of other advertisers might say it and it's not new to say digital and social are the new media landscape, but I think very few advertisers have really shifted spend - some have tried around the edges. We have literally shifted everything into creative content, pretty much everything that would have gone in a traditional screen has gone into a digital and social construct and I'm talking millions and millions and millions of dollars’ worth,” she said. The concept, born out of UM’s winning pitch for the media business in March this year, is due to roll out over the next few weeks, and will run for at least three months. Launching coloured cans is not simple task for a brand whose brand identity is so entrenched and iconic, and the decision wasn’t taken lightly. It went right to the top, to global CMO Joe Tripodi for sign off. Tripodi announced last week that he is stepping down from the top spot after seven years in charge of the brand. “It’s not just to be sensationalist, but this idea of creating disruption in the marketplace and really adding vibrancy to teens' worlds over summer through the use of colour is what this campaign is all about,” she said. Coke worked with UM, Ogilvy, Adhesive PR, Satellite on digital, Maverick on Experiential and Passport for shopper marketing. Colour Your Summer is a shift for Coke away from ads to emphasise the taste and appeal to appetite, towards entertainment. “We know that that kind of marketing and driving appetite appeal works but we have to move into the entertainment space as well,” she said. It will operate a #ColourYourSummer “war room” in its Sydney HQ holding daily editorial style meetings between all its agency partners and in-house teams to develop the campaign and content day to day, responding in real time to the social interactions. Earlier this week, Coca-Cola came under fire for its Barista Bros iced coffee launch, which is part of its efforts to introduce new products beyond fizzy drinks. For more on Coca Cola’s Colour Your Summer push and the roll out of coloured cans, check out The Sell in the next print issue of AdNews out 31 October. Subscribe in print here or get it now on the iPad. 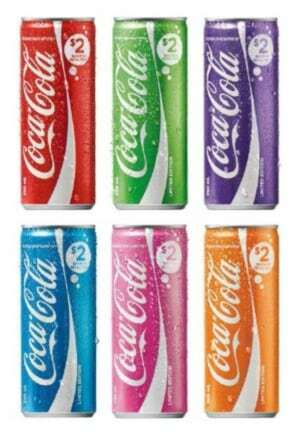 Are Coca-Cola’s coloured cans the next Share a Coke? Coca-Cola is breaking all its own brand guidelines in an effort to reconnect to teens and make the brand cool again. It’s launching six limited edition coloured cans and rolling out one of its biggest ever marketing pushes in Australia to back it up. But it won’t be on TV. Pink, purple, blue, green and orange cans will go into stores at the start of November, with marketing activity gradually ramping up. Globally Coca Cola is under pressure to reverse the declining demand for its sparkling drinks.